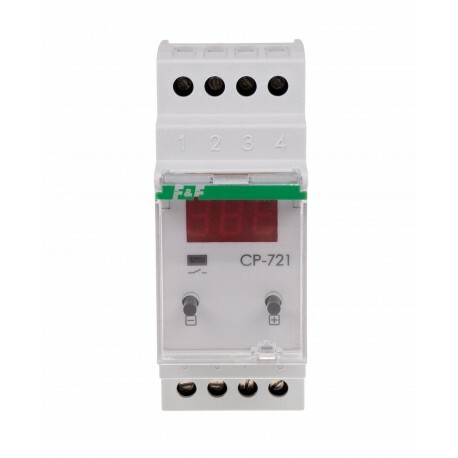 The CP-721 voltage relay is used to control the single-phase voltage and to protect the single-phase load from the effects of voltage increase or decrease outside the set values. In the operating mode, the display shows the value of the currently measured voltage. The lower threshold (UL) and upper (UH) set by the user determines the voltage threshold. 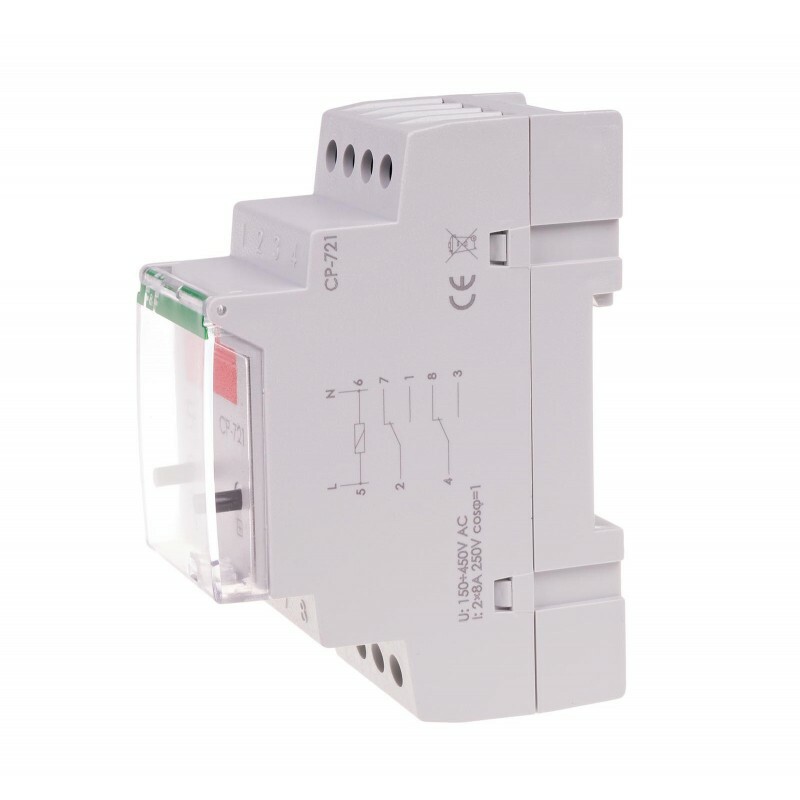 voltage window, within which voltage changes may occur, which do not cause the relay to operate. 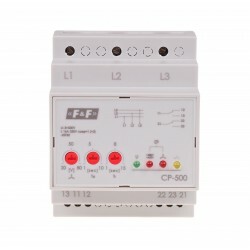 With the correct supply voltage, the relay contact remains closed. Changing the supply voltage above or below the set voltage thresholds will open the contact with a time delay set by the user. 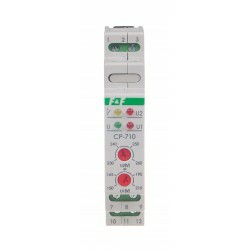 The red LED illuminates when the contact closes. Exceeding the voltage above 5 V from the set thresholds UH and UL is signaled by the pulsation of the values displayed on the display. 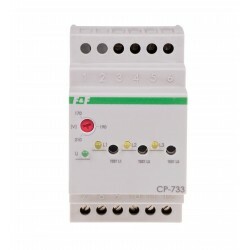 The relay will be connected again automatically in case of a permanent voltage value of 5 V in relation to the set threshold values UH and UL for the return time set by the user. 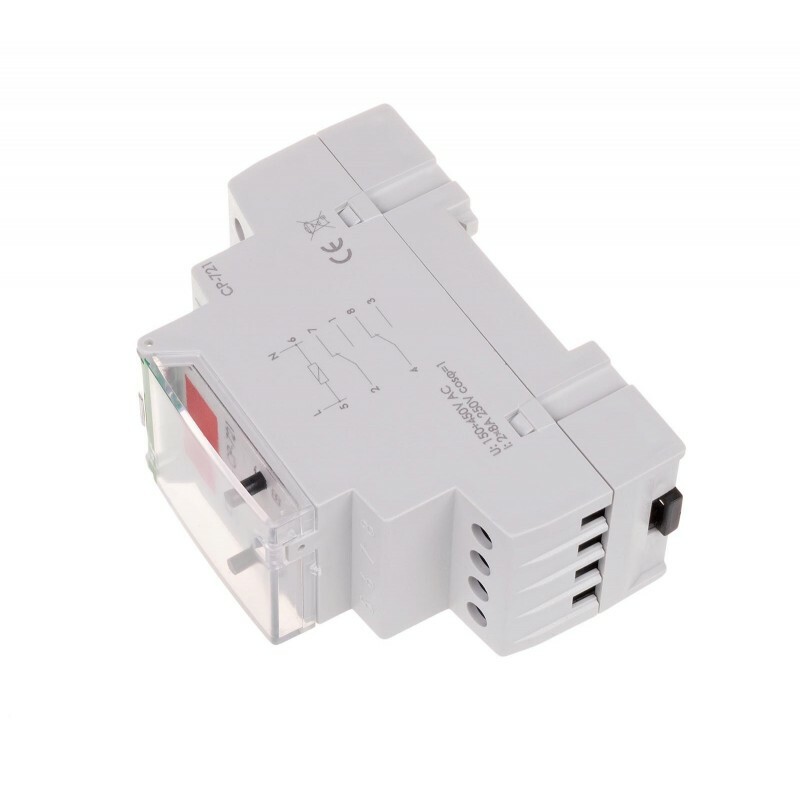 The relay can be supplied with voltage up to 450 V ~. 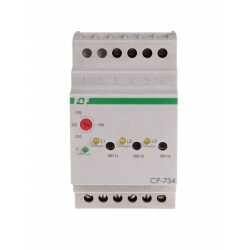 This allows effective protection of the receiver even when the voltage is higher than the permissible standard. 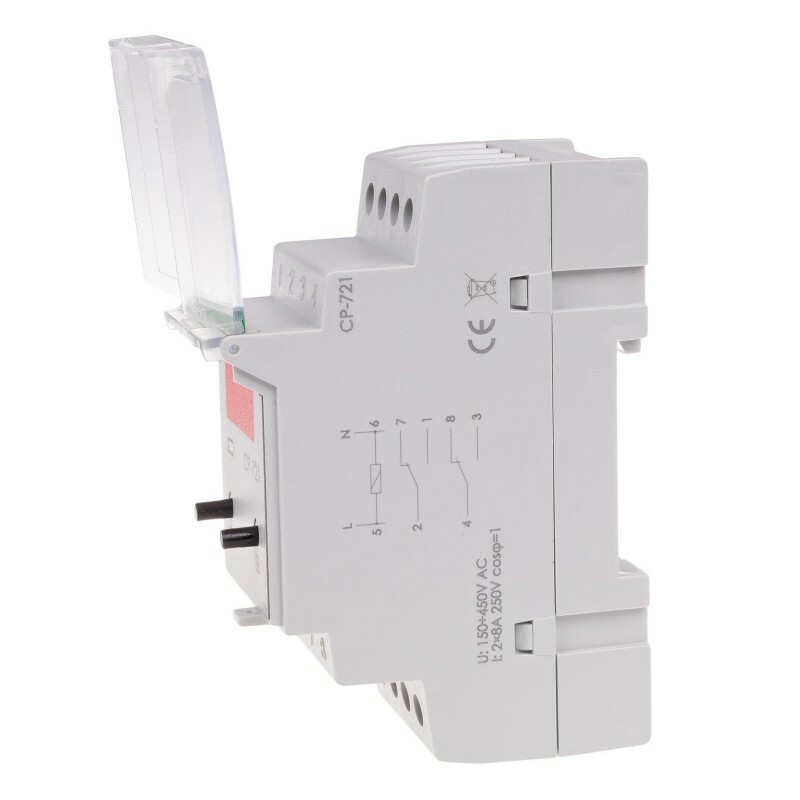 The device is protected against changing the polarity of the power supply - this will not destroy ("burn") the relay.